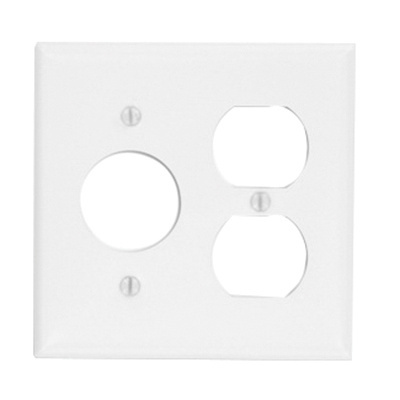 Leviton Standard size combination wallplate measures 4.56-Inch x 4.5-Inch x 0.22-Inch. It has painted metal construction with smooth finish for added durability. Wallplate meets UL and CSA standards.